The mobile phone in your pocket took another leap towards becoming as capable as a desktop computer this week. Google announced the launch of Chrome for Mobile, putting a fully fledged web browser on a phoneâ€™s tiny screen. That means, in theory, you can have scores of different web sites open simultaneously on your mobile, as well as a web experience that learns from the sites you visit on a laptop or tablet computer, if youâ€™re also signed in to Chrome. Itâ€™s another sign of the web permeating every aspect of daily life, and an indicator that that web we see on mobile phones is likely to become more like the one we use on a PC. Googleâ€™s aim, however, is not simply to put a slightly better internet browser on a mobile device. Sundar Pichai, Googleâ€™s Senior Vice President for Chrome, says that the aim of launching the original browser was nothing less than â€œto move the whole web forwardâ€. The hope was, by offering a browser that was faster than its rivals at launch â€“ and is now seven-times faster still â€“ to allow websites to become significantly more complex. Although not all of the progress since September 2008 can be put down to Chrome, we are all now doing much more online. On mobile phones, however, hardware is much improved yet browsers are not. Pichar claims that, thanks to better mobile browsers such as his, â€œwe will see a whole new class of mobile websites in the near futureâ€. This is plausible in part because Chrome is joined by Firefox and Opera at the cutting edge of alternate browsers to the standard mobile options. Key to this is Googleâ€™s aim to offer users the same web, everywhere. Pichar concedes that smaller screens will sometimes need different experiences, but he says that phones, tablets and computers should all know who is using them and what they want to do. â€œA lot of what we take for granted for the desktop is not available on a phone,â€ he argues. Chromeâ€™s key new features make the tabbed browsing that is familiar to desktop users possible on a mobile â€“ Pichai likens the experience to a â€œstack of cardsâ€ in your hand, as well as offering a new private mode that doesnâ€™t record what sites youâ€™ve visited in your browsing history. Improved integration with desktop versions mean that the browser can replicate the same tabs you have open on your main computer. 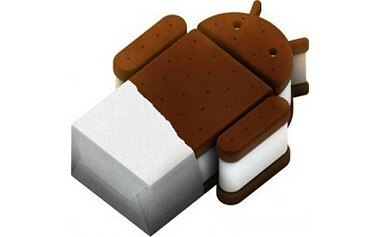 The second issue is also one of transition: although there are now more than 250million Android devices worldwide, just one per cent of them can run Chrome, because it is only available for the latest version, codenamed Ice Cream Sandwich. As customers and manufacturers upgrade, that problem too should solve itself; more than 700,000 new devices are now being activated each day. But it underlines what remains a problem for Google â€“ as some phones become incredibly powerful, many others that run Android are not in the same league. Pichai is relaxed â€“ Google has a financial interest in Chrome doing well, and is putting the resources behind making that happen. â€œPeople use search inside a browser,â€ he explains. â€œWe have always been very fortunate at Google that if we focus on the user, say by improving the speed of our browser, we do well from a revenue point of view because of the advertisingâ€. He claims that â€œBy blurring the lines between the web and the mobile web we are pushing the boundariesâ€. The ultimate aim, he says, is to have Chrome running across laptop, PC, tablet and phone. â€œI donâ€™t think any of us have fully internalised the changes that will come with using the web at a very large scale and with touch,â€ Pichai says. Thereâ€™s even a hint that Chrome may yet come to the rival iPhone: when asked directly, Pichai wonâ€™t say no. â€œWe are focussed on getting Chrome for Androidâ€ â€“ Google wants users to take its experience everywhere, the web is getting ever more important â€“ and Appleâ€™s response will be fascinating.